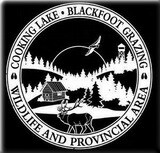 A partnership among Parks Canada (Elk Island National Park), Alberta Parks and Protected Areas (Cooking Lake/Blackfoot Provincial Recreation Area), and the Royal Astronomical Society of Canada, the Beaver Hills Dark-Sky Preserve was officially declared on September 3, 2006 at Elk Island's "Celebration of the Century", marking the hundredth anniversary of Canada's first game preserve and still Canada's only fenced national park. RASC Edmonton Centre members have conducted dark-sky observing sessions at Blackfoot for over 20 years and at Elk Island prior to that, so the formal recognition and protection of this area's dark skies is a cause for celebration among local astronomers. Under the theme "Many Cultures, One Sky", the Beaver Hills DSP will raise public awareness in light pollution abatement, and support astronomical, environmental, and cultural interests. Scientific research of wildlife in a truly natural environment devoid of artificial lighting is also planned. Public astronomy programming in the parks, begun on a trial basis in 2005 by parks personnel using scopes, materials, and training provided by RASC, will be expanded. by Scott Young (RASC President) and Roger Reilander, Area Manager, Alberta Parks. This initiative has been two years in the making and was led by Sherrilyn Jahrig, John Cliff, and Warren Finlay along with over a dozen other members of Edmonton Centre who have contributed towards this effort. The RASC's National Light Pollution Abatement Committee and employees of Telus World of Science - Edmonton. Parks personnel, both national and provincial, have been universally helpful, sharing many common objectives with astronomers with respect to protection of the natural environment. We have made numerous additional useful contacts which may eventually result in future additional or expanded protected areas and the skies above them. The RASC is proud to have done our part to help make Beaver Hills DSP Canada's newest Dark-Sky Preserve. RASC National President Scott Young took part in the dedication ceremony along with representatives of the federal and provincial governments, Alan Dyer (Telus World of Science - Calgary), and RASC members Orla Aaquist (Edmonton Centre President) and Rick Huziak (Saskatoon Centre). Over 50 volunteers from the Edmonton Centre put on a great event, with kids' activities, storytelling, solar observing, and musical performances celebrating "many cultures, one sky". The RASC's Light Pollution Abatement Certificate of Merit was also presented to Alberta Community Development and Parks Canada for their efforts in preserving the dark-sky environment. The RASC congratulates to Edmonton Centre for pulling together a great event, and the RASC-federal-provincial partnership which worked so hard to establish this dark-sky preserve. Congratulatory Letter from Edmonton Mayor Madel on the Beaver Hills DSP.